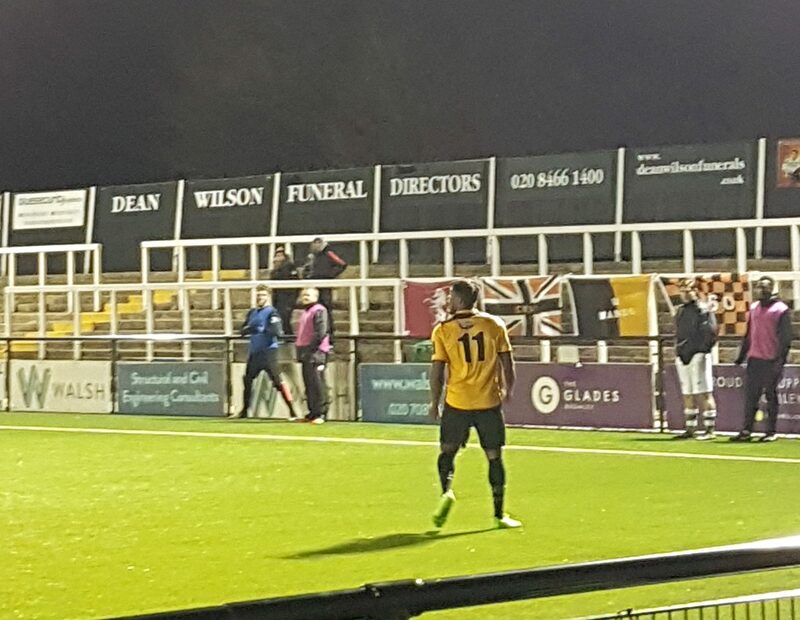 Cray Wanderers prepared for the huge game against Lewes on Saturday by smashing sorry Ashford United 9-1 at Hayes Lane to go top of the Bostik South Division. It was a cracking performance by The Wands, who lined up in a 4-3-3 formation, and they were ahead on just 3 minutes when a Karl Dent free-kick was glanced home by Charlie MacDonald. George Kamarusi, making his second debut in the Ashford goal, was rooted to the spot as he was expecting a firmer touch and could only watch as the ball crept into the bottom corner. Things got better for the home side in the 17th minute when again Dent delivered a free-kick into the danger zone where this time Mitchell Nelson got on the end of it to poke home his 6th goal of the season. It was all one way traffic and you could tell at this early stage that Cray would go on to rack up a cricket score here. The next goal was to come from another Karl Dent set-piece when in the 22nd minute his corner was headed down to MacDonald who had time to turn and shoot past Kamarusi from close range. Just two minutes later it was 4-0. Karl Dent claimed assist number four when his corner was headed home by Jay Leader who was celebrating his 100th game for the club. Karl Dent will not be able to claim the assist for the 5th goal which came in the 36th minute. Charlie MacDonald found his route towards the goal blocked so he laid it off to Brandon Scott who raced past the defence and from an angle he fired past Kamarusi to make it 5-0. Cray were on fire and at this stage you had to worry for Ashford as they were getting ripped apart all over the pitch. Kamarusi was not having the best of games and would go on to have the longest 90 of his career but to be fair to him his defence was non-existent all match and he made a couple of decent saves just before the half-time whistle which prevented this from being a ridiculous half-time scoreline. With the big match on Saturday in mind Tony Russell was able to make a few changes at half-time, resting Dent and Aaron Rhule. Then unluckily for Cray, Lea Dawson got injured a couple of minutes in to the second half so all three subs were used in quick succession. It caused a temporary lull in the action but we were all awoken once more when Barney Williams smashed home a 35 yard volley that Big George could only watch go over him and deflect off the woodwork and in. A stunning way to get his first goal of the season for Barney! That 6th goal was soon added to when a long clearance was met by substitute Ralique Lawrence who beat an on-rushing Kamarusi to the ball to head it over him and in. Lawrence got clattered by the goalkeeper for his efforts but his bravery was rewarded with the goal that made it 7-0. All throughout the match the Ashford fans were in fine voice. Their drum was banging and their humorous lyrics were proudly sung, so even if the team didn’t deserve a goal, the supporters certainly did and that is just what they got around the hour mark when Matt Day went through to finish past Nick Blue, who I believe was also the goalkeeper in the first half, but who knows? The comeback was on, if you were to believe the songs coming from the fans behind the goal. It wasn’t to be though as soon it was 8-1. On 72 minutes Ben Mundele copied his goal against VCD the week before when he ran with the ball towards the edge of the area before switching it to his left foot and curling it into the far corner. Another great goal that capped off a super performance by the young right-back who is really making a name for himself this season. The scoring was completed in the 75th minute when Lawrence showed his pace and then his finishing ability to make it 9-1 and cap off a fantastic night for Wanderers as they go top of the table. It could not have been a better warm up for Cray for this huge game on Saturday, a match which with the right result will see them go 5 points clear. The heavy scoreline also confirms them as the top scorers in English football. There were fantastic and solid performances all over the pitch as there has been all season and they deserve their position at the summit of this League. They have a lot of attention on them at the moment with the goals, their league position and the stadium plans so it’s great to see that where it matters they most are delivering in truly devastating style. Ashford were awful. There is a lot of work for Jason Whitmore and Gary Alexander to do over the next few months as they prepare a team to compete in every game next season. If Alexander did not know what he had got into when he joined them last week, he certainly does now. Overall Ashford fans should not worry too much as I am sure he will get the right people in to prevent this sort of scoreline repeating itself next season. Luckily for Ashford these teams will not be facing each other next season, right? 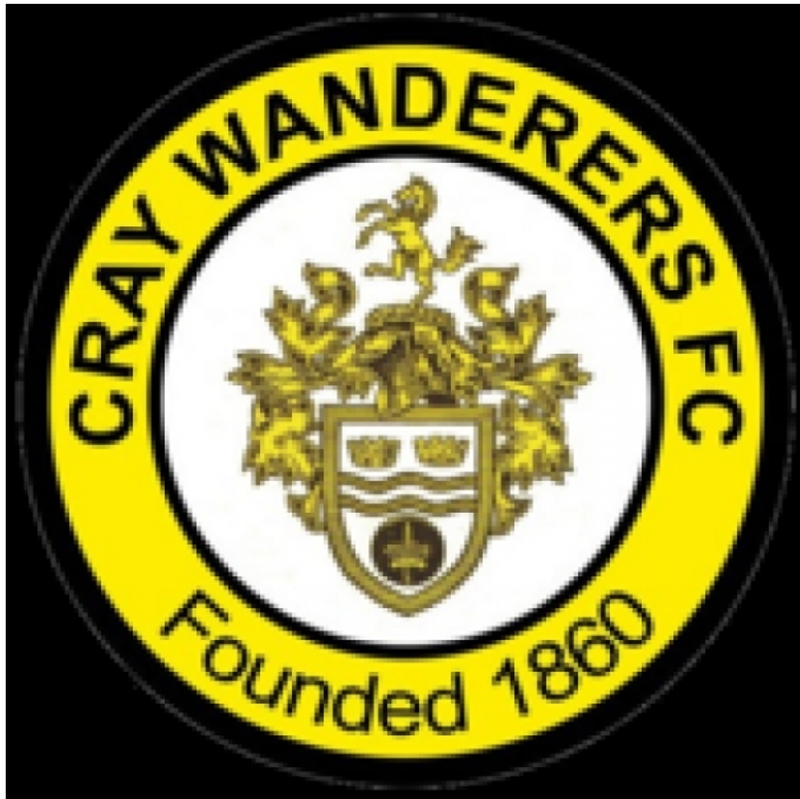 As Cray Wanderers will be in the division above this one and that fact will be on the way to being confirmed with victory on Saturday.